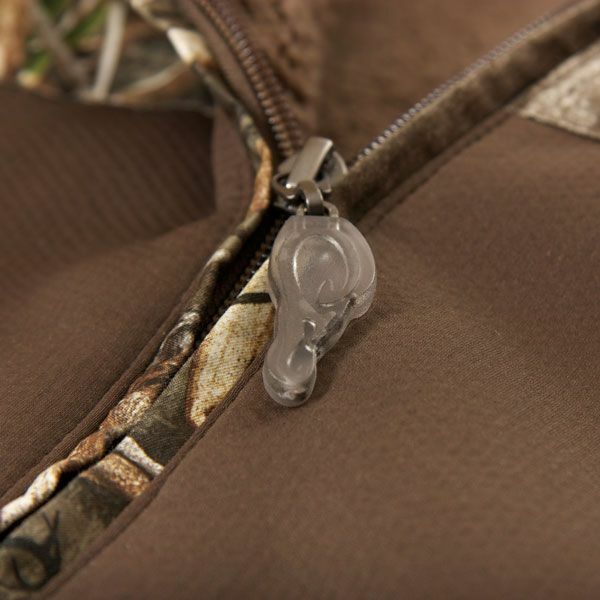 Drake Waterfowl's patented Eqwader design is now available in a late-season model. 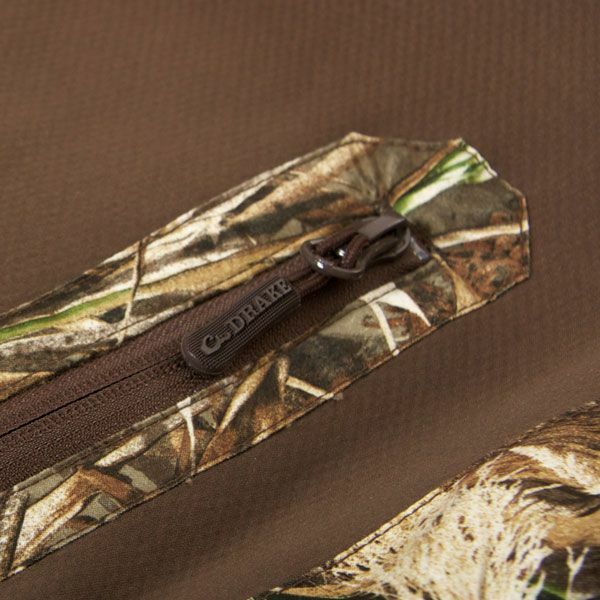 The LST Heavyweight Eqwader Full Zip delivers exceptional warmth without adding bulk or weight, making it practical and comfortable for wearing under waders. 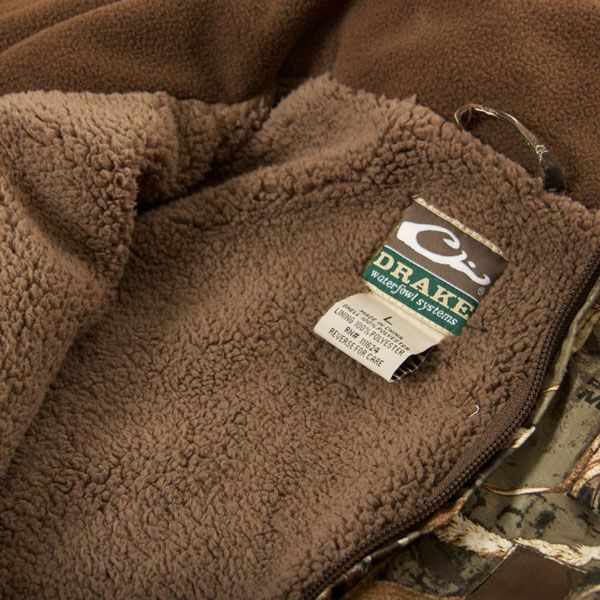 The interlock soft-shell exterior fabric is backed by a 400-gram high pile fleece interior that traps warm air inside the garment, yet is breathable enough to let unwanted moisture vapor escape. 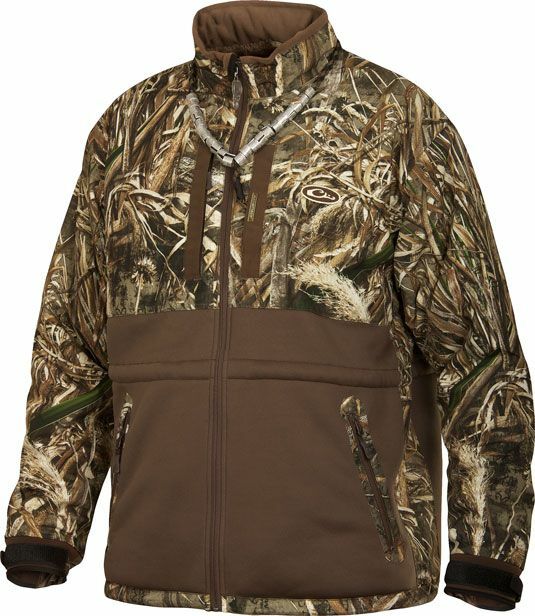 Features a vertical Magnattach Call Pocket on the left chest, vertical License/Key Pocket on the right chest, lower zippered hand pockets, and redesigned adjustable neoprene cuffs.